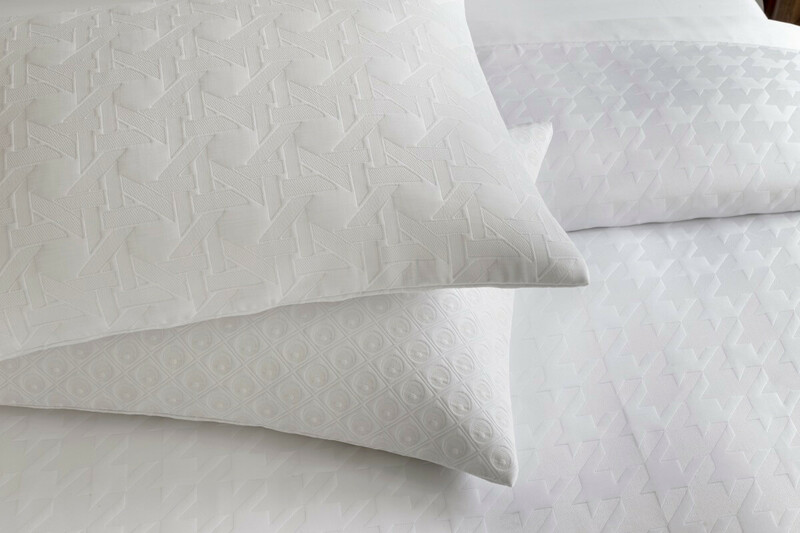 At the Boutique Design New York trade show, Fabric Innovations hosted an event to showcase its recent design collaboration with Roger Thomas – an extensive new white-on-white hotel bedding collection. 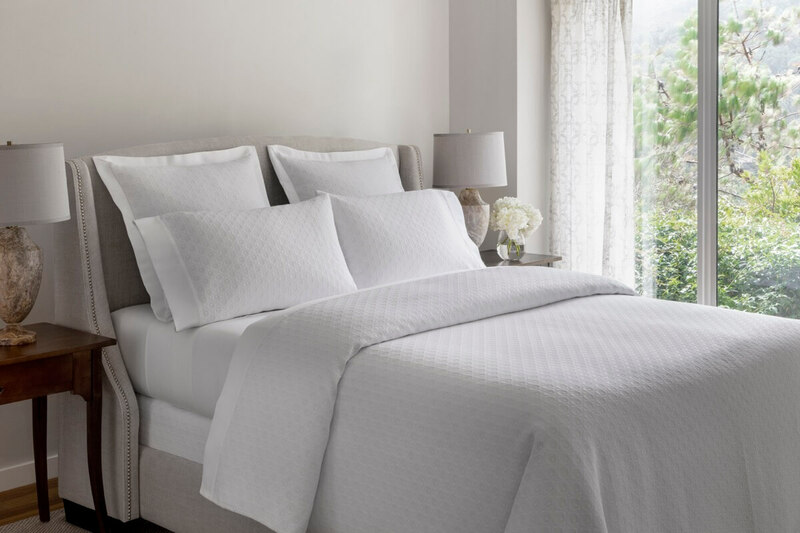 The Roger Thomas Collection has partnered with Fabric Innovations to collaborate on a luxurious bedding collection that represents the perfect blend of design and function for any high-end hotel guest room. 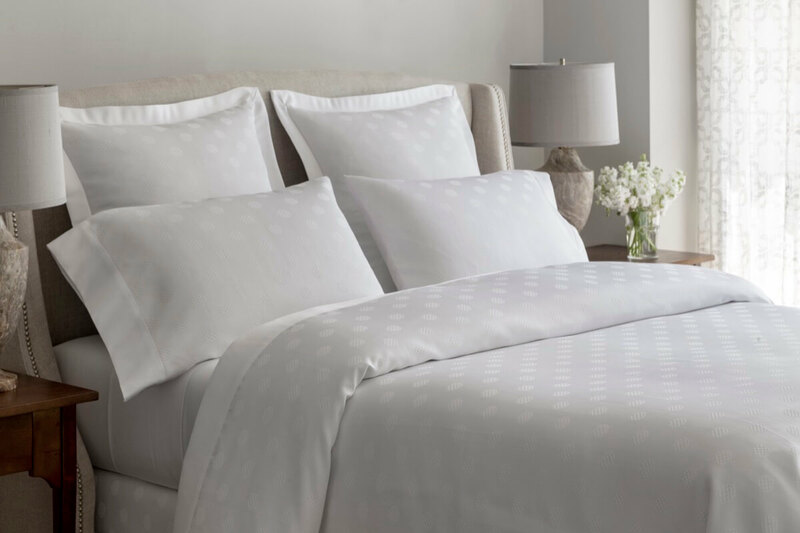 This playful collection, elevated by its white-on-white design, features seven patterns: Houndstooth, XOXO, Malacca, Seeing Spots, Zig-Zag Baroque, Checquers, and Garden Bands. 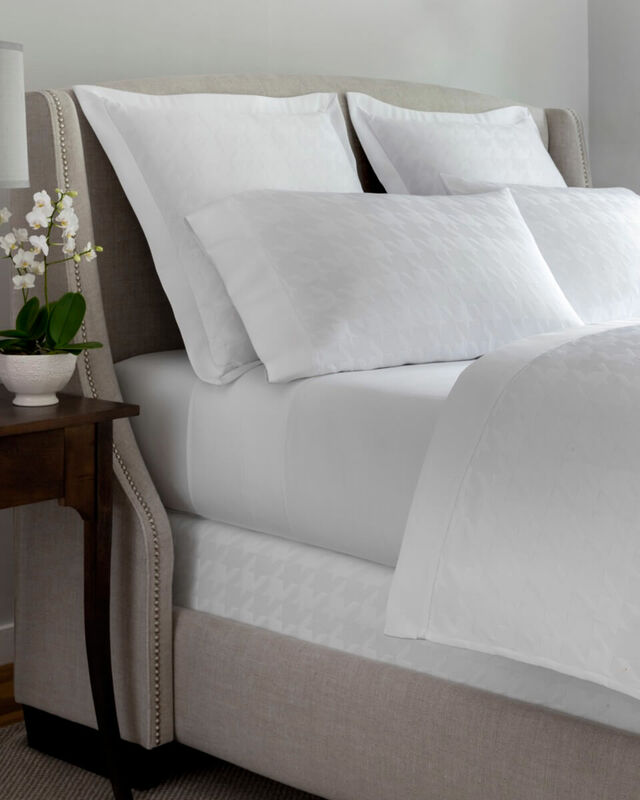 All patterns are available on 300 thread count all-cotton sateen sheets, shams, and duvet covers. 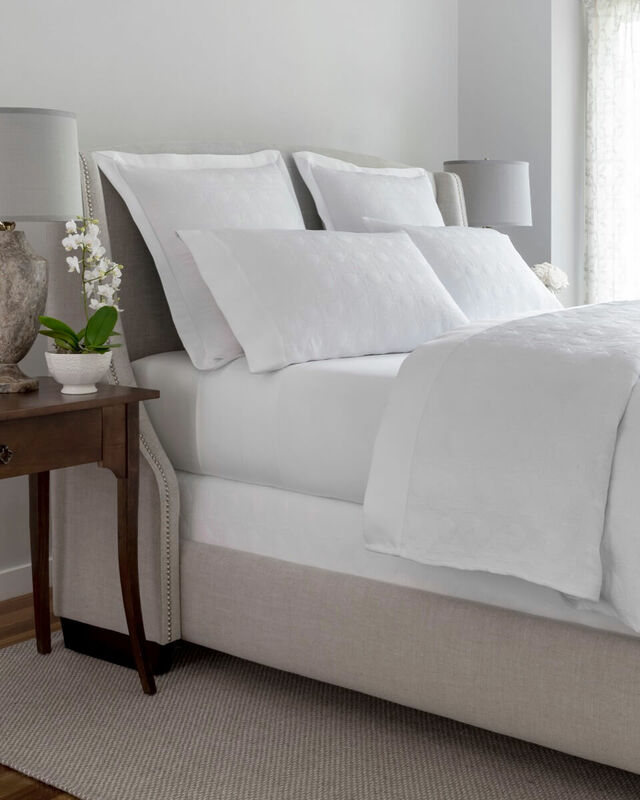 These can be further complemented by stunning matelassé top-of-bed mini-collections – in the same seven patterns – featuring shams, coverlets, and box-spring covers. 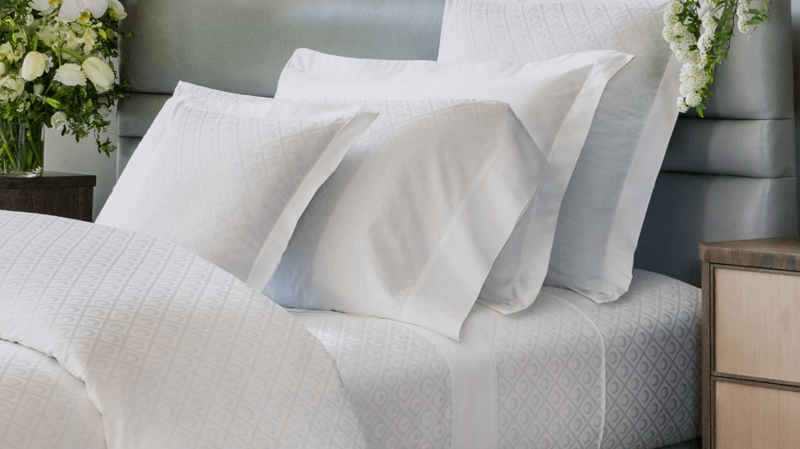 The total collection creates endless matching and mix-and-match opportunities for sumptuous and layered hotel guest room bedding solutions. Please check out a few photos of this beautiful and extensive new collection in the slide carousel below!